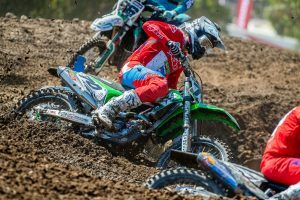 Reviewing rider results from Appin's first round of the 2019 MX Nationals. 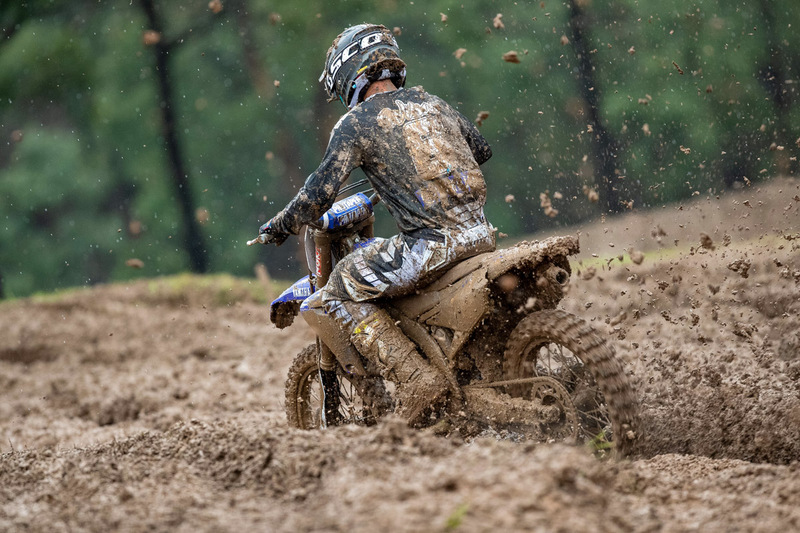 Appin’s season opening round of the 2019 Pirelli MX Nationals served up a complete mud-filled affair, which saw a number of strong and inspiring performances throughout the shortened schedule. 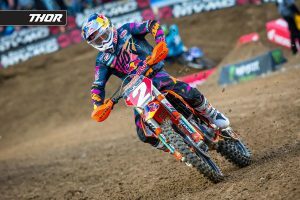 In this edition of Rated, MotoOnline.com.au highlights and rates how a selection of contenders fared. Rundown: After a campaign in the MXGP World Championship, Todd Waters made a impactful return to the MX Nationals with DPH Motorsport Husqvarna. A victory is always impressive, but it was the way in which Waters rose to P1 on the weekend that made it truly incredible. Being taken down just metres out of the gate, the Queenslander charged through the brutal conditions, ultimately taking out the win in a last-to-first performance. Rundown: Fracturing multiple vertebrae in his lower back six weeks earlier, it’s pretty amazing that Penrite Honda Racing’s Brett Metcalfe even made it to the start line. The reduced schedule certainly played into his favour as he managed his return to riding, but I don’t think anyone anticipated him to finish were he did – and that was in fourth position. It’s a performance that has quite honestly saved his chances of challenging for the crown. Rundown: Leading from start to almost the finish, the MX2 victory look destined to fall into Jay Wilson’s hands. Thought to of had a 22-second advantage in the closing stages, the Yamalube Yamaha Racing rider allowed Jy Roberts (Raceline KTM Thor) by thinking he was a lap down, however, lost the lead to the KTM talent in the process on the final lap. It wasn’t until Wilson got to the mechanics area post-race the he realised what went down, but still, it was a mighty showing from the former champ. Rundown: In the muddy conditions that Appin offered up, you can either have an excellent day, or a horrid one. 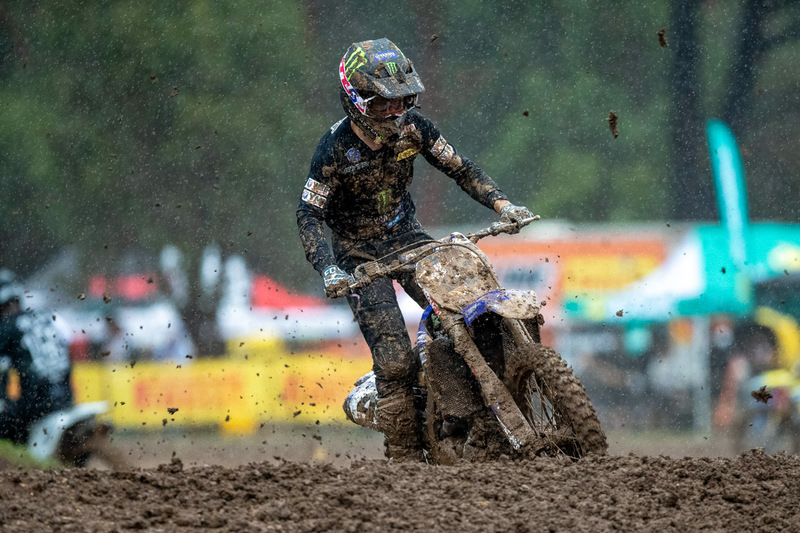 Making his debut with CDR Yamaha Monster Energy, Luke Clout managed to salvage what he could in a very testing outing. Overcoming a fall in the early stages that saw him stuck in the mud, the New South Welshman freed himself and went onto claim eighth in the six-lap encounter. Rundown: An amazing way to start his career at Raceline KTM Thor, youthful talent Jy Roberts came from behind in the MX2 category to eclipse Jay Wilson for victory on the final lap. It was an incredible display of Roberts’ grit and desire to charge from significantly behind the leader, and then make the pass with not even a lap to spare. It was a very well deserved win for the number 100. Rundown: It was a bittersweet return to the Australian motocross championship for Hayden Mellross, who was one of many riders making their debut with a new team – his being Raceline KTM Thor. 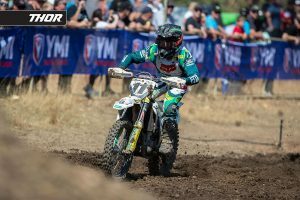 The talented New South Welshman moved into the lead and controlled much of the MX1 moto, and in fact crossed the line first, although officials handed him a 10-second track infringement penalty that ultimately denied him of the win and granted him runner-up honours.